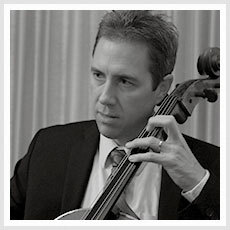 Cellist Jonathan Karoly has been a member of the Los Angeles Philharmonic Orchestra since the 1997/98 season. A native of Chicago, he began studying the cello at the age of three, and was a prize-winning cellist, pianist, and composer from an early age. Following his studies in Chicago with Karl Fruh, Nathaniel Rosen, and in New York with Zara Nelsova, Mr. Karoly graduated in May, 1997, with a Bachelor of Music degree with honors from the University of Southern California where he was a pupil of Ronald Leonard. Active as a solo and chamber musician, Mr. Karoly has performed in the festivals of Marlboro, Verbier, Sarasota, Music Academy of the West, the International Laureates Chamber Music Festival in Los Angeles, and Aspen, where he was a fellowship recipient. In addition, he is a regular performer in the Los Angeles Philharmonic's Chamber Music Society and Green Umbrella New Music Concerts. Mr.Karoly recently performed the Mendelssohn Octet in Carnegie Hall as part of Musicians from Marlboro 50th Anniversary Concerts. In 1999 Mr. Karoly was invited to perform several concerts of chamber works with Pierre Boulez at Carnegie Hall's Weill Recital Hall. The New York Times called his playing "...highly musical and expressively generous...". 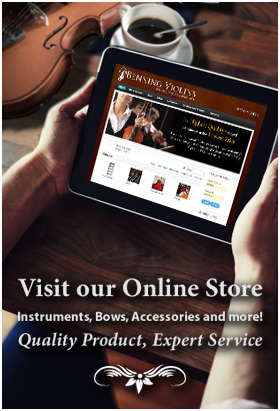 An accomplished competition winner, Mr. Karoly has won grand prize in the Pasadena Instrumental Competition and first prize in the Chicago Cello Society Competition and all three divisions of the St. Paul Federal Bank's Musical Arts Competitions. As a concerto soloist, he has performed with numerous orchestras throughout the country, including performances with the Los Angeles Philharmonic, and has been principal cellist of the Civic Orchestra of Chicago and the Debut Orchestra of Los Angeles, among others. Mr. Karoly has appeared live in radio broadcasts in Chicago and Los Angeles in solo recitals and chamber music performances. A CD of Tchaikovsky and Mendelssohn Piano Trios has been released for Telos Records.